Over the past several years, the electricity industry has experienced a number of fundamental changes. 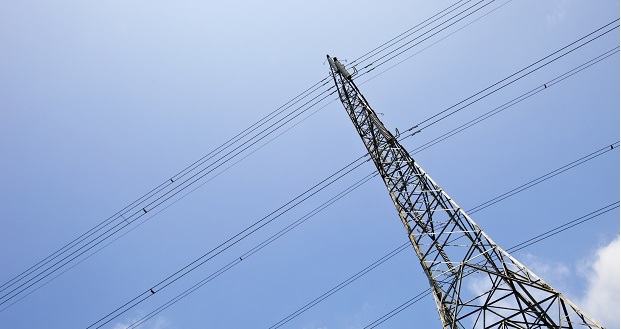 Our nation’s grid, which is the electricity infrastructure between the generation sources and consumers, is evolving in an attempt to keep up with these ongoing changes. This evolution has already begun and will likely have significant implications for reliability, operations, security, consumer choice and more. All involved must work toward the development of sustainable solutions to the issues related to this evolution of the grid. It will be essential for all stakeholders to work together to understand each other’s points of view. This will not be easy, as we have already begun to experience. The grid must be looked at in the context of the entire value chain of the electric system, which includes the grid infrastructure as well as generation (utility companies), transmission (utility, micro-grid companies), distribution (solar, wind – unregulated companies), storage (battery, other) and end use (ratepayer). Our digital economy, national security and our daily lives are highly dependent on reliable, safe, affordable and secure electricity. New technological advances are providing new grid capabilities, more affordable clean energy sources, digital dependability, fewer outages and faster response time when outages do occur. Many difficult issues must be addressed, including technology challenges, the evolution of the regulatory model, a rethinking of how electricity is priced and infrastructure investments are recovered. To successfully develop sustainable solutions to these issues, a collaborative process that includes all stakeholders will be imperative. The grid must be able to reliably integrate all generation sources and new third-party entities that will increasingly provide services to the larger electric system. It will be essential to keep consumer benefits; collectively and individually, at the center of the discussion while being mindful of reliability, safety and cost considerations associated with transitions. Sometimes this is difficult due to a number of competing agendas. Nevertheless, the players must somehow get over it, possibly with the assistance of the ACC. Even the ACC and the Constitution it abides by will need some tweaking. The Legislature and governor’s office will also be required to get involved. While central generation will continue to play a major role, there will also be other generation supply options. The ability of the grid to reliably integrate these new generation options will require it to be more flexible and adaptable. DER’s (Distribution), including photovoltaics (solar), wind, fuel cells, local generation, storage and demand response will play a more significant overall role. Energy storage likely will be a key component in future systems design. However, it is doubtful it will not replace the need for dispatchable generation. The grid operator (utility), as well as microgrid owners/operators will likely leverage energy storage along with responsive loads and dispatchable generation sources to optimize operation of the system. Energy storage will allow opportunities for mitigating the variability in non-dispatchable generation sources such as solar and wind generation. Multi-customer and single-customer microgrid operations will complement the future grid instead of competing with it. With accurate market price signals, utilities will be able to call on these microgrids to optimize generation and reduce load on peak demand days or for other operational efficiencies, including reducing the impacts of outages. Determining the right price for electricity service will be critical to a successful transformation of the energy system of the future. Without the correct pricing structure, the wrong behavior is incentivized and the resulting impact to grid operations can be detrimental. Part of the key, is managing the “transitions” whereas rates and pricing will need to be reformed to ensure fairness to both consumers and producers of energy. To prematurely initiate rate and pricing program deviations could prove disastrous for numerous reasons. That is what we are currently looking at with APS’s rate case request for a highly contentious complicated program, which basically ignores its position in the transition process; very dangerous. With third-party providers entering the market to offer consumers new services that are not part of regulated pricing or rates, a mixture of regulated and competitive services will likely emerge. These offerings may need to be unbundled so that the value of the grid can be priced accordingly… There is a long way to go here. Grid investments can be appropriately recovered and third party providers and consumers can make informed, open market decisions with that pricing knowledge. It is further critical to design the right pricing and rules so all consumers share the cost of maintaining and operating the grid in a fair and equitable manner. For example, one of the APS issues is that the current rate structure does not consider solar user costs for their “part-time” use of the grid. I contend that they are correct in their base premise. However, their solution which is punitive to the non-solar user is not the correct solution. The timing along with a number of other issues is out of sync thus offering a premature, flawed perspective. Accurate, clear and direct price signals to all consumers and devices are needed. This would allow consumers to evaluate prices and make informed short and long term decisions. The “transition” to this model will need to include efforts to better educate consumers so they can understand this new approach. So, to add to the complexity… As non-regulated distributed generation (rooftop solar, multi-customer and community microgrids and other DERs (electric vehicles and energy storage), become more prevalent, the process for planning for regulated infrastructures (central generation, transmission and distribution), will become even more challenging. Again, “transition” is key. It is too early in the process to impose “mandatory” demand charges on “all” ratepayers. Particularly the traditional non solar rooftop customers. One step at a time here. Greg Eisert is director and chairman of government affairs, Sun City Home Owners Association.